As early as 43,91 € month financing with a maximum maturity of 72 months; total amount 3161,52 €; Bound annual borrowing rate 5,74 %, effect. APR 5,90 %. These figures are also the representative example in the sense of §. 6a paragraph 4 PAngV Agencies are exclusively by BNP Paribas S.A. Niederlassung Deutschland, Standort München: Schwanthalerstr. 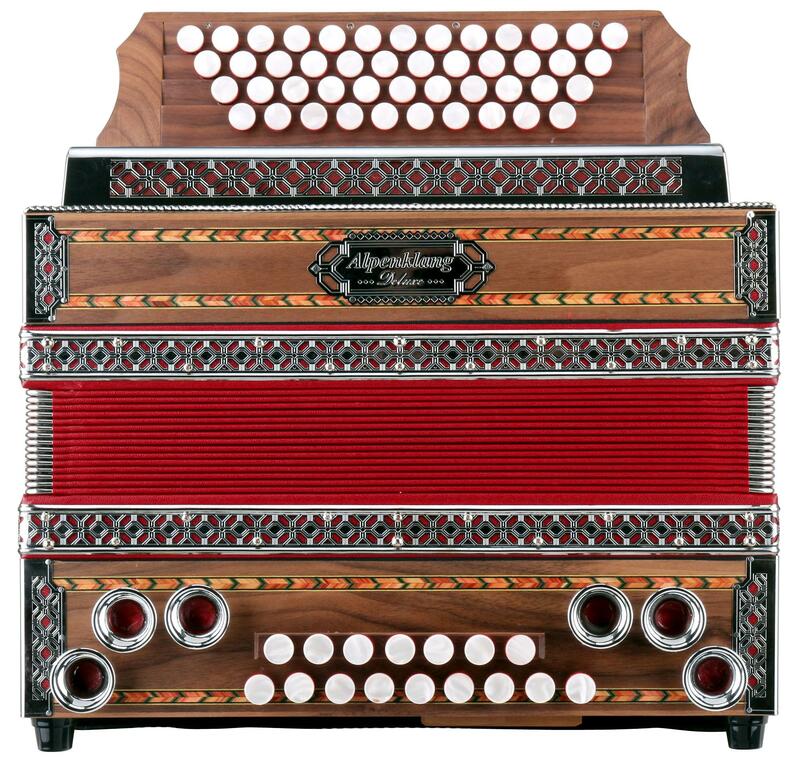 31, 80336 München. 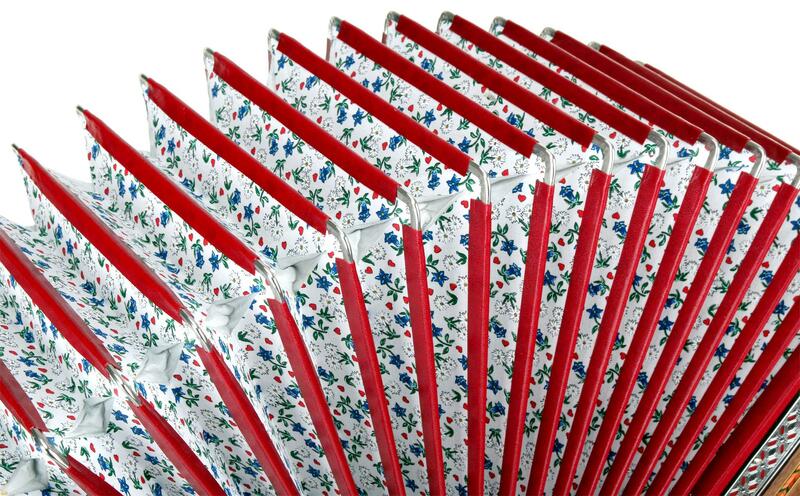 BEAUTIFUL DESIGN FROM A TRADITIONAL ACCORDION FACTORY! 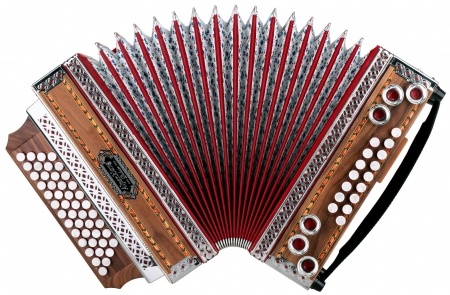 Alpenklang accordions are the ideal entrance into the Styrian world. 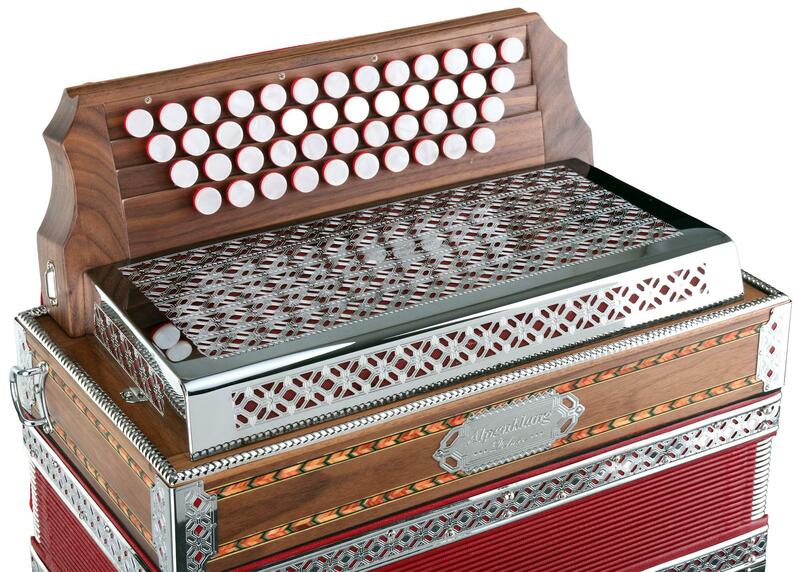 The instruments are crafted at Polverini, a traditional Italian accordion factory, and offer an absolutely unbeatable price-to-performance ratio. 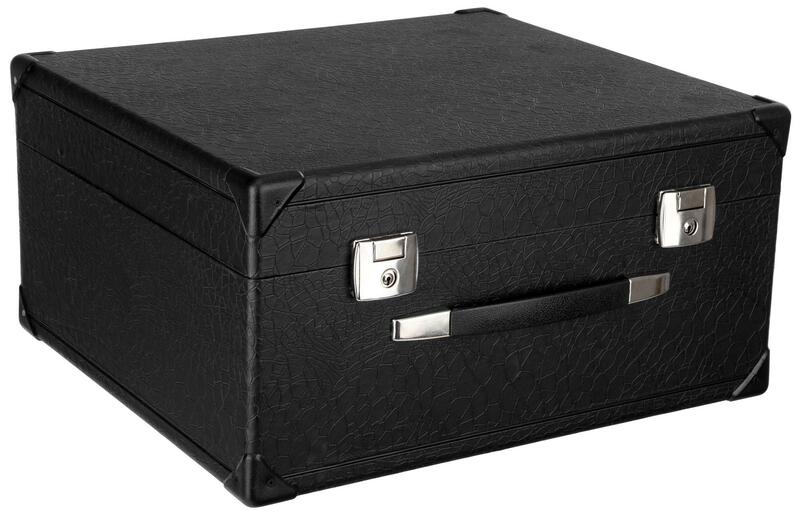 The harmonica "Deluxe" offers the finest workmanship and absolute highest quality components. 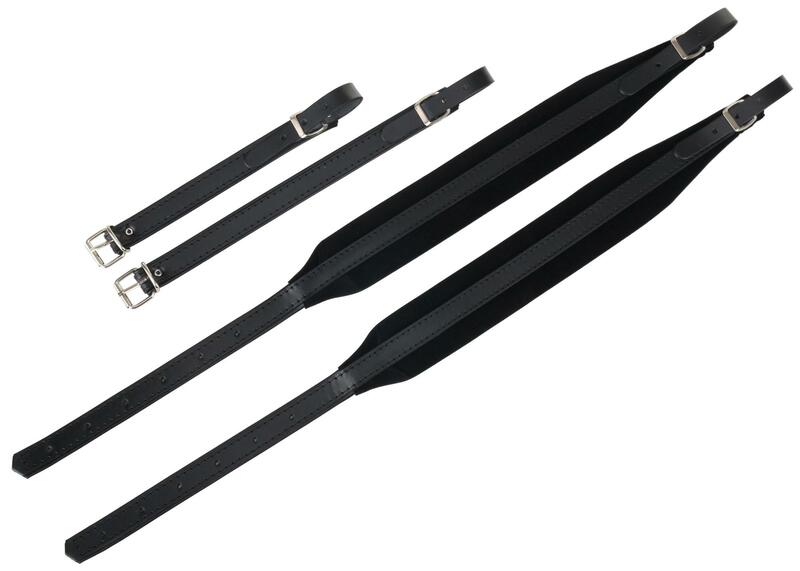 The super dural reeds deliver a brilliant response and intonation with maximum dynamics. 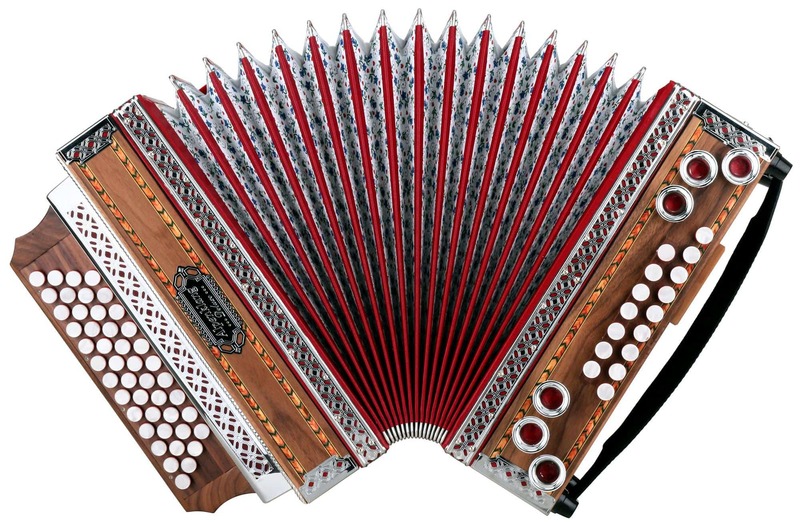 The X-Bass, a special alternating bass for the first row, also makes this beautiful accordion even easier to play. 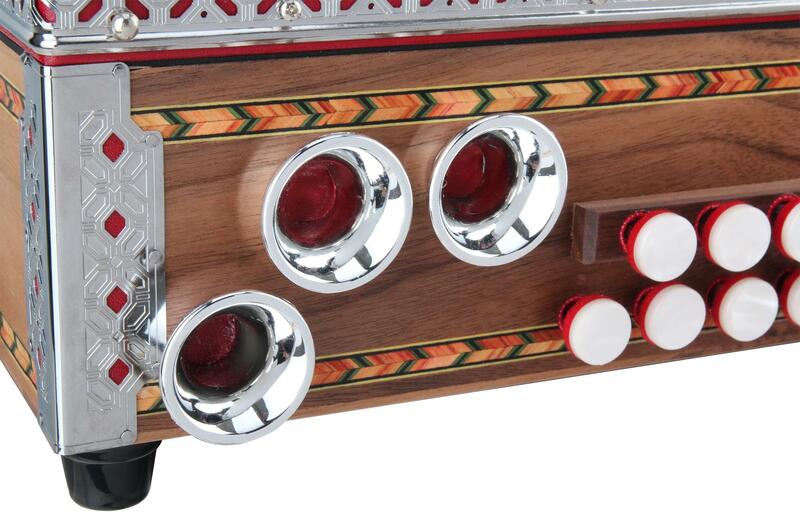 In addition to its wonderful musical qualities, the "Deluxe" also has a beautiful, traditional look. 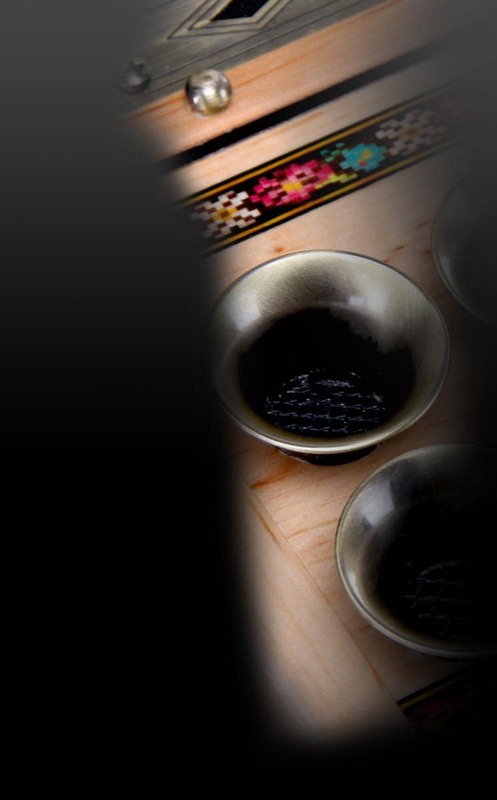 The bellows have a whimsical flower pattern reminiscent of sunny pastures and the walnut body is reminiscent of evenings in rustic mountain cottages. 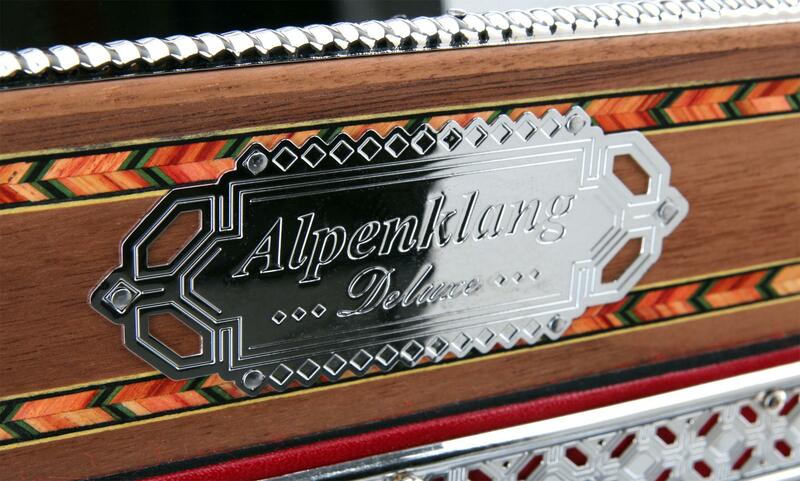 Intricately crafted inlays and metal fittings complete the elegant look of the Alpenklang "Deluxe".